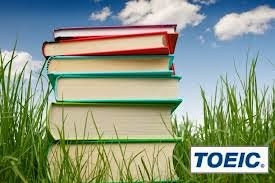 TOEIC test online is a review test based on the material from TOEIC Grammar. In the next following sentences,each sentence has four words or phrases underlined. You are to identify the one underlined word or phrase that should be corrected or rewritten. but of course there are a tips and trick in there. Kalimat kalimat dibawah ini adalah dalam bentuk flash program. Dalam menjawab soal soal grammar tersebut pembaca, siswa harus mendaftarkan email dan nama terlebih dahulu. Tentu saja tidak perlu khawatir tentang email yang dibutuhkan karena bertujuan untuk mengumpulkan data dan melaporkan jawaban kepada pembaca, dan juga penulis. First step is the reader should give an email, but sometimes isn't necessary. After that give a name which is real or not it's up to you. Finally you can try this test freely and do it with your own abilty, do not cheating. Okay you have done your job, and now i will send your answer to your email address if it asked in the first time, if it's not just ignore it. Oh yeah i had another material about TOEIC Preparation Test 1, you might take a look, or we have so many quiz below, just check the related post.